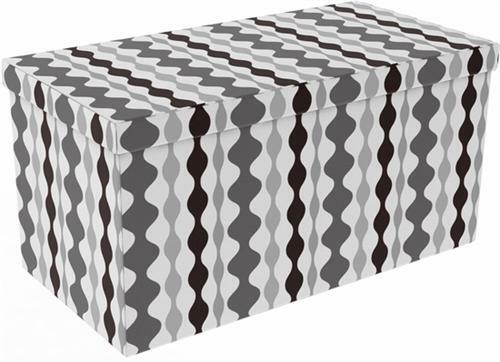 More on the Atlantic 15x30 inch Collapsible Ottoman in Lava Shades of Gray (Set of 2) 67335936 below. Collapsible design that folds flat for easy storage. Durable Medium Density Fiberboard (MDF) construction. An open interior, featuring concealed storage. 250 lb max weight capacity. Available in a variety of fabrics. See "Related Products," below.